Headed to Long Beach? Take advantage of the season. Here’s a look at popular activities to enjoy during your stay on the best beach in Long Island. 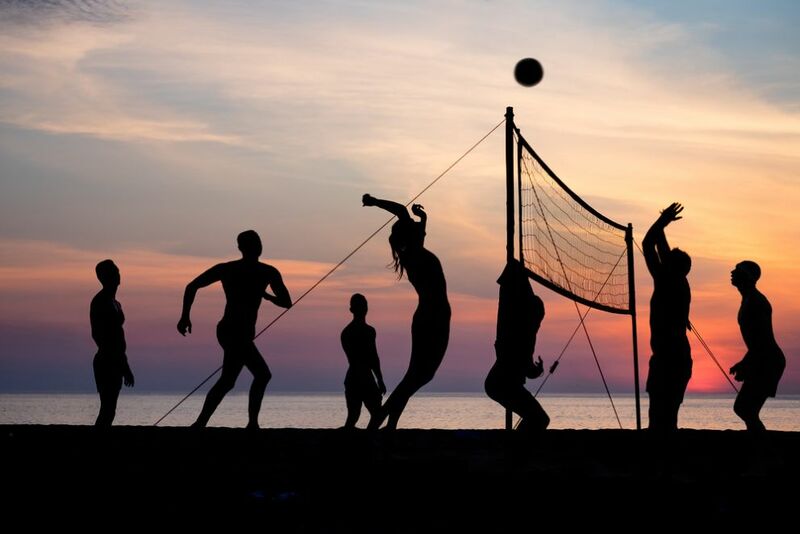 Partake in a friendly game of volleyball on the beach! Nets are set up for free use during the day, or you can watch the adult summer league go at it from 6pm until sunset. This neat little park is located right on the water, complete with swings and a pirate-themed playground. Make sure to pack water and sunscreen – the playground is in an especially sunny spot. Spread out on the sand and enjoy a free flick during the summer movie night series. The weekend event is great for families and an excellent addition to your summer. See event information. Long Beach is incredibly popular on the East Coast for its surfing culture. Enroll in classes with Skudin Surf school, located just steps away from Allegria Hotel. All ages and abilities are welcome! Visit the Skudin Surf website for additional information. For lunch, head over to the food truck market where Riverside Boulevard meets the sand for a generous selection of local fare. Feast on tacos, lobster rolls, deli sandwiches and even waffles right on the beach. Make up for months of winter by renting a lounge chair and umbrella from Beach Comfort, located along the boardwalk. Grab your favorite book, a cold drink, and relax while taking in views of the Atlantic. If you’re planning a trip to Long Beach, book with us at Allegria Hotel. Our rooftop pool, stunning ocean views and prime location on the beach makes us the number one choice in Long Beach. Read more.